Are you suffering from toenail fungus, Athlete’s Foot or just plain ole’ smelly feet and shoes and want to stop it in its tracks? To read more about what to look for when searching for the best shoe sanitizer, please click HERE! If you are wanting to know more about the risk factors for toenail fungus and other foot conditions, please click HERE! If you have ALREADY decided that a shoe sterilizer is definitely what you need and are in the process of researching the multitude of brands out there, then look no further! As a podiatrist who faces foot problems on a day-to-day basis and recommends a multitude of high-quality products to my patients every day, I have done my fair share of research on shoe sterilizers. I have personally seen what works and what doesn’t. While I cannot say this on every product that I recommend, I can say, without a doubt, that one particular shoe sterilizer stands far above the rest. I have seen it in action and am here to tell you all about it! Customer Service & Support: EXCELLENT! My Rating: 9.9 out of 10! AMAZING PRODUCT! SteriShoe is a well-known UV shoe sterilizer and deodorizer brand having over 80,000 satisfied customers throughout the world! It is literally the best-selling brand in its market and has even received the American Podiatric Medicine seal of approval, which is not an easy task to do. The device, SteriShoe UV Shoe Sanitizer, is 99.9% effective in eliminating the germs that cause Athlete’s Foot, toenail fungus, warts and even shoe odor! This is possible via the use of a UV light of the same caliber as those utilized to sterilize operating rooms in hospitals. You cannot get much more effective than that! SteriShoe was initially developed in 2008. The company has taken much pride in listening to its consumers’ feedback and has, over the last 10 years, literally perfected its shoe sanitizer. They stand by their commitment to your satisfaction by even offering a full refund for your purchase if you do not find that the germs lurking within your shoes (and their horrible smell) are gone within 30 days! This product has been featured on programs such as “The Dr. Oz Show”, “The Doctors”, “Good Morning America”, and even in “The Wall Street Journal”. I have included a clip about the product as seen on The Doctors below! This video clip is actually from one of the original products and states to leave the product in the shoe for 45 minutes. This new SteriShoe product now only takes 15 minutes!!! 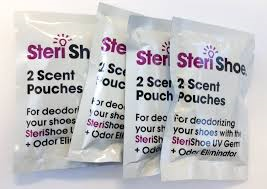 Who Should Use the SteriShoe UV Shoe Sanitizer? 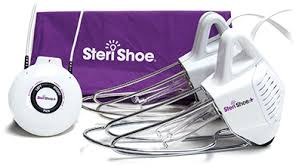 According to most podiatrists, EVERYONE that is wanting to be pro-active with their foot health should utilize the SteriShoe UV Shoe Sanitizer. But… you should especially consider the use of this product if you have a history of Athlete’s Foot or toenail fungus, have an active infection on the foot, if you have a weak immune system or if you have smelly shoes and feet. We wash our clothes, right? Why shouldn’t we sterilize our shoes? Our feet can sweat up to a pint of sweat per day. 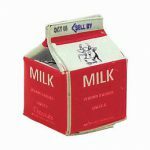 Think about it… that is a milk carton from the cafeteria of sweat! GROSS! Do we really want that sitting in our shoes and hosting all the nasty microorganisms that thrive in that environment? SteriShoe UV Shoe Sanitizer – How Does It Work? We briefly mentioned above how this product works via UV light. But… are you wanting to learn more? 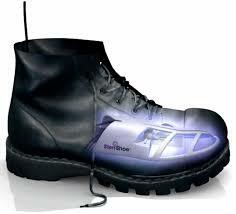 It is the specific wavelength of ultraviolet C light that makes the SteriShoe UV Shoe Sanitizer so effective. This 253.7nm wavelength is termed “germicidal”. In simple terms, it means that this light, also known as UVC, kills germs! This product has been tested on the top three fungi that cause nail fungus and Athlete’s Foot as well as odor-causing bacteria and was verified to destroy 99.9% of these microorganisms. How Do I Use the SteriShoe UV Shoe Sanitizer? It’s so easy to use the SteriShoe UV Shoe Sanitizer that you could almost do it with your eyes closed. You simply insert the product into each of your shoes (each device includes two units – one for each shoe), connect the AC power adapter and press the “ON” button. You can then go about your day or evening knowing that the dangerous organisms lurking within your shoes are being eliminated while the 15-minute process takes place. You do NOT even need to worry about watching the clock and having to return to your shoes after the specified 15 minutes. Why? This device has an automatic turn-off. You can either remove the device from your shoes, or leave it in until you decide to wear your shoes again or begin the cycle on another pair of shoes. 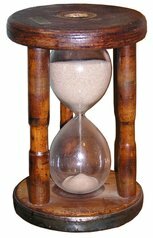 How is This Device Better Than the Rest? It is hard to compare products that you have not used! Lucky for me (and you too), I have patients all the time that bring in different devices that they have purchased prior to talking to me. I get to actually see and hear first-hand some things that they have experienced with each of these devices AND I am here to share some of this information with you! 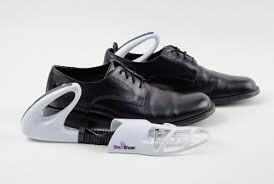 Design – The largest difference that I see amongst a multitude of the other shoe sterilizers and the SteriShoe UV Shoe Sanitizer is its design. Believe it or not, the design of these devices have A LOT to do with their efficiency. Most of the other products out there have a plastic cover over the UV light. Plastic merely absorbs UVC, blocks it from reaching the inside of the shoe and causes it to become ineffective. SteriShoe, however, has a much more open design thereby allowing it to provide direct exposure to the shoe interior. As a result, you get a much more effective penetration and therefore an increase in effectiveness. Safety Features – It is proven that UV light can be harmful if you look directly at it. The SteriShoe UV Shoe Sanitizer comes equipped with safety features that prevent the lamp from lighting if it is not fully enclosed within your shoe. For utilization on more open-toed shoe gear, a bag is included in which to isolate the lighting within the confinement of the bag. Sizing – The SteriShoe UV Shoe Sanitizer comes as a one-size-fits-all device! This eliminates sizing errors and allows you to share the product with family and friends thereby making it more economical. Scents – One large quality that separates this product from its competitors is the fact that It comes with citrus-scented cartridges. You can utilize these cartridges if you desire to help deodorize footwear with a refreshing scent. Bulb Durability – Replacement bulbs for this product are easy to find and are priced reasonably. You can get your replacement bulb by clicking HERE for $14.95. While it is recommended that you change the bulbs on your device once every two years in order to ensure proper effectiveness, the bulb on the SteriShoe UV Shoe Sanitizer is designed to last between 2000-3000 hours. You could essentially treat a pair of shoes once a day for seven years! Most of the complaints that I hear regarding other products include the bulbs “burning out” after 2-3 months. 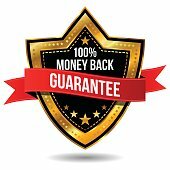 Warranty/Guarantee – Unlike most of the products out there, and as stated above, SteriShoe offers a 30-day money-back guarantee on their product. If you are unhappy with ANY detail of this product, you can simply return it for a full refund. If you refer to an article that I wrote advising of the qualities to look for in a shoe sanitizer, you can clearly see why SteriShoe UV Shoe Sanitizer is the product that I always recommend to my patients. It clearly provides everything that you could want in a product of this category. There is never been a better time to gain control over your the health of your body and ensure happy, healthy (and nice smelling) feet. Stop putting your feet in smelly, fungus-filled shoes everyday, and start disinfecting and deodorizing your shoes with SteriShoe UV Shoe Sanitizer – the best shoe sanitizer! I sincerely hope that you enjoyed this review of the SteriShoe UV Shoe Sanitizer. Should you have any questions, comments or concerns OR should you want to leave your own review of this awesome product, please leave a comment below. The Best Shoe Sanitizer – Does it Exist? Most of us wash our clothes after each use, correct? OK… maybe for some of us it is after a few wears, but… they still get washed! 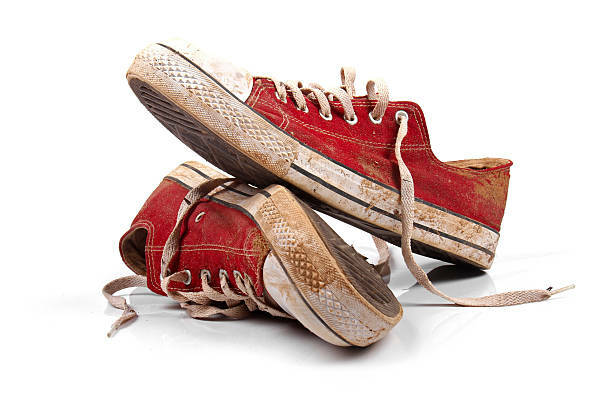 So… why do we wear our shoes day after day without even thinking about cleaning them? What is the most effective way to clean them? Simple. Clean them with The Best Shoe Sanitizer! The BEST Shoe Sanitizer: Why Do You Need One? What is toenail fungus? Click HERE to read more about toenail fungus! What is Athlete’s Foot (a.k.a. foot fungus)? If you review the risk factors for toenail fungus, which also applies to Athlete’s Foot, you will see that sweaty feet and poor shoe ventilation magnifies your chances of contracting both. And… if you already have either foot or toenail fungus, did you know that those tiny spores flake off of your feet and toenails into your shoes (even when you are wearing socks)? The dark, warm moist environment of your shoes is simply a breeding ground for the fungus. They LOVE this… and they can survive independent of your feet for months in this condition. This makes it almost impossible to successfully treat your condition with any treatment because you are constantly re-introducing the fungus to your feet! Do your shoes smell? Don’t laugh! This is a common condition and it is called bromhidrosis. Many people suffer from this condition… People both WITH and WITHOUT fungus! 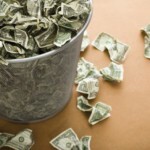 There IS a solution… you CAN eliminate these problems! There are devices called shoe sanitizers! But… how do we find the best shoe sanitizer? What is a Shoe Sanitizer and How Does it Work? What IS a shoe sanitizer? Here… I will attempt to break down exactly what a shoe sanitizer is and how the use of one can help you. To begin… a shoe sanitizer is a product used to disinfect your shoes. It has the capability to eliminate not only particles of toenail fungus, but also other types of fungus that can lead to athlete’s foot as well as unhealthy bacteria that can lead to smelly feet and shoes. Think of EVERYTHING we put our shoes through! Whether we are talking about work boots, gym shoes or our favorite pair of casual shoes, we wear shoes over and over and over again! Our feet naturally perspire! Why would we NOT want clean shoes? If you have toenail fungus that you are currently treating, had toenail fungus that you just got rid of and don’t want to contract again, have Athlete’s Foot, bought a good pair of used shoes and don’t want to contract any diseases OR just have smelly shoes and feet that you are wanting to eliminate, a shoe sanitizer is the product that you are looking for! There are a wide variety of shoe sanitizers on the market today, but basically a shoe sanitizer works in one of two ways. It can either utilize ultraviolet light (UVC) OR gentle ozone heating OR both to kill off the odor-causing bacteria and fungus that resides within our shoes. These are the same concepts that hospitals utilize when sterilizing medical equipment. How Do You Find The Best Shoe Sanitizer? Have you googled Shoe Sanitizers? Are you overwhelmed at all the products offered? With many brands out there, how do you know which one is the BEST shoe sanitizer? Hopefully, I can provide you with information that will aid you in making an informed purchase to ensure that both your problems are solved AND you are not throwing your hard-earned money away. Feel free to read more about me HERE. 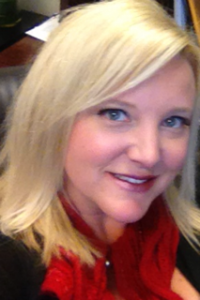 I am a podiatric physician that LOVES what I do and I have LOTS of experience in this category. Referring people to products that work is my job… I would NOT put my name behind any item that would disappoint! Size – You ALWAYS want to make sure that whatever model of shoe sanitizer that you decide to purchase fits your size shoe. Some products will only fit certain sizes and some are marketed as a one-size-fits-all. This can be especially important if you plan on utilizing your device amongst family members and/or friends. Types of shoes it can treat – Some sanitizers are made just for certain types of shoegear such as boots, etc. To me… you definitely get more bang-for-your-buck when your device can be utilized with ANY type of shoe. 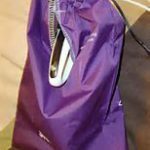 Most of the products that offer this versatility will come with a protective bag which provides the ability to utilize the device with a multitude of shoe styles including boots, sandals, tennis shoes and heels. Safety features – Because many sanitizers utilize Ultraviolet light (UV) to get the job done, we do have to be concerned about safety. UV light can damage the eyes if direct contact is made. 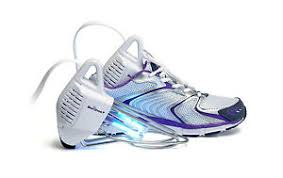 You want to look for a device with an automatic shutoff AND that boasts a protective bag that you can utilize when using the product on a shoe style that does not completely cover the UV bulb such as sandals. Replacement bulbs – In any model that utilizes the UV light, you will eventually have to replace the UV bulb as its effectiveness will decrease in strength with time. This is expected as it is with any light bulb. Typically, with daily use, the bulbs should last about two years prior to having to replace. I will say, though, that in the lesser quality devices, I have seen bulbs having to be replaced every few months. Treatment time – Treatment time is definitely a variant amongst the different shoe sanitizers available on the market. This may be an important factor to some and less important to others, but I thought that I would include this feature in something to evaluate amongst the products. Treatment time ranges from about 15 minutes up to 6 hours with the different devices. You do want to make sure to purchase a product that you will be compliant in using in order to really treat the condition that you purchased the product for. If that means that it needs to have a shorter treatment time, then please purchase a product that provides this! You need to be fully satisfied with whatever device you choose! 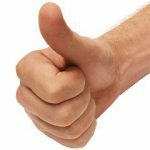 Guarantee/Warranty – You want to find a product that is backed by its company! If a company is confident enough to provide a guarantee or warranty that the product will work… you have NOTHING to lose in trying their product! 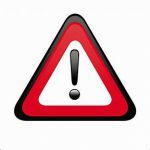 I do want to warn you…there are many cheap products that either simply do not work OR break after your first couple of uses. This is my field of expertise and I DO NOT WANT YOU TO WASTE YOUR MONEY! When you spend your money on a shoe sterilizer, you want something that works and will last. I definitely recommend that you utilize the above-features in your search to make sure that you are getting EXACTLY what you want. 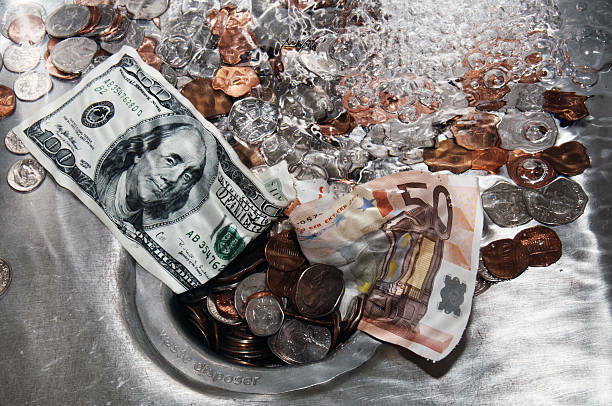 I have purchased items in the past only to find myself disappointed in the end and I know what a bad feeling that can be… like throwing money down the drain! You want a product that is economical yet highly functional! Because I work with feet on a daily basis, I have already done my research on shoe sterilizers! I recommend them all of the time. If you would like, feel free to click HERE to visit and read my personal product review of what I have found to be the best shoe sterilizer on the market! It has been tried-and-true with my personal patients and they are ecstatic with the results that they obtain by using this product. Don’t let smelly feet and shoes and/or unsightly fungus take control over your life! Find the best shoe sterilizer for you and use it! Go straight to MY PERSONALLY RECOMMENDED SHOE STERILIZER!